In return for offering rental rates below the market rent (typically 20% less) investors receive ten years of an annual tax incentive that can be offset against your loan or paid out in cash depending on your tax position. An NRAS loan can help you purchase an investment property as well as giving you excellent tax benefits. When you purchase an NRAS property you don’t have any worries about property management and you may experience lower than typical vacancy rates due to the reduced rent. When an NRAS property gets sold the new owner must continue to rent it out through the NRAS in accordance with the lease terms. The tax incentives from an NRAS loan are not usually taken into account when it comes to assessing your application and capacity to service the debt. Applying for an NRAS loan can be a little more difficult because some lenders do not accept NRAS property as security or may require a larger deposit. 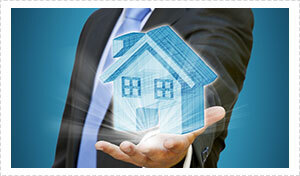 At Nexhome Finance we are able to assist you with your NRAS loan applications. 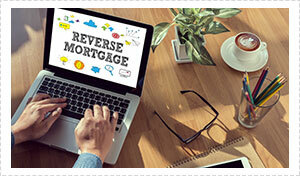 A reverse mortgage is a special type of loan that allows you to draw against the equity in your home. To qualify for a reverse mortgage, you must be over the age of 60 and own your own home. The amount you can borrow is usually between 15% and 40% and there are no monthly repayments or minimum income requirements. A reverse mortgage loan must be paid in full when your home is sold, if you die or if you move into a care facility. Interest rates are often higher than standard home loan rates and along with fees are added annually to the loan balance. With the effect of compounding interest rates over time, your total debt may end up being a far greater portion of the value of your home than the original loan amount. A reverse mortgage can have a significant impact on your finances, possibly even affecting your pension. Due to the complexity of this type of loan it is best to speak with an expert in this area before you take out a reverse mortgage. Not everyone is eligible for a reverse mortgage as it may create unfavourable financial consequences for the borrower impacting relationships and lifestyle. A SMSF loan is a loan that is taken out through a self-managed super fund in order to finance the purchase of an asset. A popular investment strategy for people with a self-managed super fund is to borrow money through their SMSF to purchase residential real estate. This is also referred to as ‘super borrowing’. When you purchase an asset using an SMSF loan that asset is generally held in a separate holding trust to the super fund in order to protect the fund should the loan go into default. One way to help grow a self-managed super fund is to invest in assets. Your fund may be eligible to borrow money through an SMSF loan which can build up assets to provide capital growth over a long term. Due to regulatory changes around superannuation it’s best to speak with an expert if you’re considering taking out an SMSF loan. If you have an existing self-managed super fund or you are in the process of setting one up and want to purchase an investment property as part of the fund you should speak to your local SMSF loan specialist. They can answer any questions you may have about a SMSF loan and help you get started. Find out more about how Nexhome Finance can help you with your NRAS loan, Reverse Mortgage or SMSF loan. Our office is located on the Gold Coast and we also service Brisbane and the surrounding areas, our friendly and professional team will be more than happy to assist you with any questions you have.